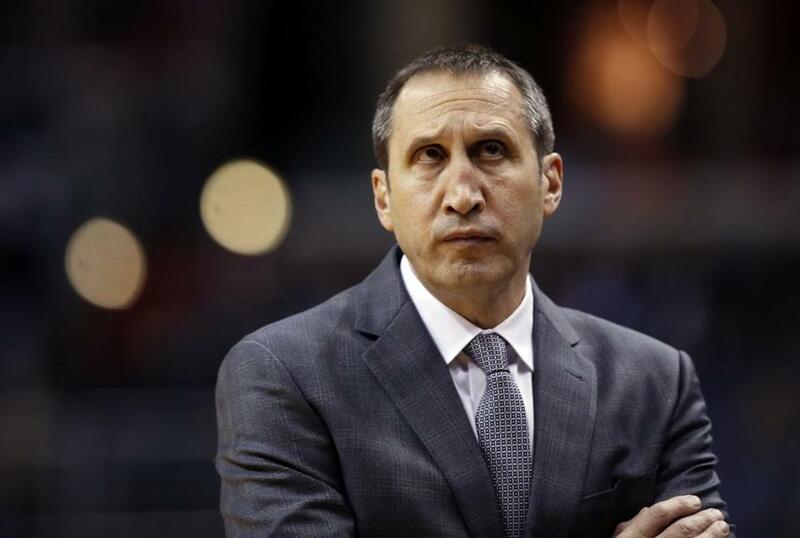 The Cavaliers fired coach David Blatt on Friday. It was a balmy July afternoon at Desert Oasis High School in Las Vegas and new Cavaliers coach David Blatt offered an enthusiastic yet boastful reaction to coaching LeBron James. Blatt demanded that the American media know he was no basketball neophyte. He wasn’t just plucked off the streets of Tel Aviv to coach the Cavaliers. He owned extensive international experience, coaching overseas for 21 years, including an impressive run to a bronze medal for Russia at the 2012 London Olympics. There seemed to be insecurity in Blatt that he never overcame. He constantly emphasized his experience, compared coaching Maccabi Tel Aviv to the NBA, and reminded reporters that he was no slouch and should be respected. But he never truly was. Blatt never gained the regard he desperately desired, despite leading the Cavaliers to the NBA Finals in his first season. James and assistant coach Tyronn Lue were given the credit. Blatt was never a made man in the coaching fraternity, and he knew it. He constantly tried to encourage an American basketball public that doesn’t fully respect or understand international basketball to do just that. And following last Monday’s embarrassing 34-point loss to the Warriors on national television, followed by a lackluster win over the overmatched Nets, Blatt was fired on Friday. The Celtics’ game against the 76ers in Philadelphia on Saturday night has been postponed until Sunday at 7 p.m.
Blatt was out despite a 30-11 record and a Finals appearance after 1½ seasons. The Cavaliers were never quite right under Blatt, and as the Warriors were humiliating the Cavaliers last Monday, James was having a discussion with Lue on the bench. That did not bode well for Blatt. James and Lue have a special bond. 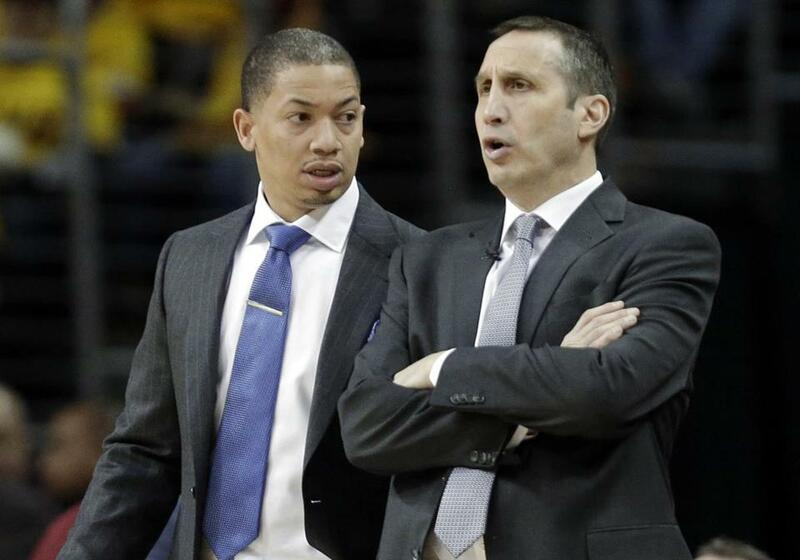 Lue, who was named to replace Blatt, has quickly risen as a coach after Doc Rivers invited him to be part of his staff with the Celtics following his playing career. What was an experiment became a fascination, and Lue liked wearing those tailored suits and gripping a clipboard. Tyronn Lue (left) took over as the Cavaliers head coach. Perhaps the only reason he was not hired as coach when the Cavaliers named Blatt was his inexperience, and that general manager David Griffin was not as familiar with Lue as he was with Blatt. Blatt never captivated the locker room, which is a must with players who are hardly familiar with a coach’s background. NBA players like coaches who used to be NBA players, and when you’re not, such as Celtics coach Brad Stevens, you have to work to gain their recognition. Stevens never referred to himself as a two-time NCAA Final Four coach, just a basketball coach with a zest to learn the NBA game. The players appreciated his humility. For Blatt, he never quite came across as humble, and instead on several occasions came across as being in over his head, such as calling for James to inbound the ball late in Game 3 of the Eastern Conference semifinals. James disregarded those instructions, and it wouldn’t be the last time. There seemed to be considerable lack of regard for Blatt from James, and while James appeared patient after the shorthanded Cavaliers made a run to the Finals, he was angry they didn’t play with the “knock out all comers” mentality the Warriors did. The Cavaliers never carried swagger because Blatt never did. “This decision is made and wrought out of a lack of connectiveness I see in our team,” Griffin said. “I’m measuring more than wins and losses. I’m focusing on a bigger picture in my evaluation. Are we building a championship culture? Are we all in on this? Are we really trying to achieve something as a unit or are we a collection of individuals? Halfway through this season, we have not yet developed this identity. Griffin claimed that James was not consulted about the decision to fire Blatt. It seems, however, that if James were against a coaching change, it would not have been executed. James is 31 and doesn’t want to carry the entire scoring, facilitating, and leadership loads, as he did in his previous tenure in Cleveland. The Cavaliers need more from Kevin Love. They need consistency from J.R. Smith. They need a better Timofey Mozgov. The Cavaliers have lacked chemistry. Love has appeared uncomfortable since being traded to Cleveland, looking unhappy at times, and there are several players who are unsure of their roles. That occurs with average and below-average teams, but the Warriors and Spurs don’t have those issues. Lue will bring a new energy to the Cavaliers. He is excitable, brash, and astute. Lue accepted a coaching role lower than that of an assistant under Rivers in 2009 with the express purpose of eventually becoming an NBA head coach. Many former NBA players don’t want to pay their coaching dues. They immediately want assistant jobs and major responsibility. Lue accepted Rivers’s offer to learn on the fly, being around an elite team with Hall of Famers Paul Pierce, Kevin Garnett, and Ray Allen. Lue led the Celtics’ summer league team to a 6-1 record in 2012 as head coaching grew into his passion. He’s got the job now, and it won’t be easy. If the Cavaliers fall short of the Finals, the season will be considered a failure. If they lose in the Finals again — which would be James’s fifth Finals defeat — it still will be considered a failure. So, there is no margin for error. Lue will have to lead with confidence, be strong with James but also listen, make definitive moves but allow the players to determine their fates. Offensive and defensive rating reflects points scored/allowed per 100 possessions. It’s been a painful season for the Phoenix Suns, who have sunk to near the bottom of the Western Conference with a putrid stretch of basketball. They have been besieged by injuries, including one to starting point guard Eric Bledsoe. In his absence has emerged rookie Devin Booker, who was the youngest player in the 2015 NBA Draft. Booker does not turn 20 until Oct. 30, meaning he will spend his first NBA season at age 19, a rarity. The Suns inserted Booker into the starting lineup by necessity, and he has produced, averaging 17.9 points per game this month, including a combined 56 in games against the Pacers and Spurs. He is the Suns’ shooting guard of the future who is getting valuable minutes now. “On young players, you can see their athleticism or ability to score the ball or play defense,” said Phoenix coach Jeff Hornacek. “But what you don’t see a lot is someone at that age coming in this league with the knowledge of the game and the ability to read things. “For most guys, the first couple of years, the game is fast for them. It’s a new level of speed playing in the NBA. They rush things, they get panicked a little bit. Devin doesn’t. He understands the game. He understands where guys are. The Suns are fortunate. Many one-and-dones, including the Celtics’ James Young, are struggling to find playing time and roles. Booker was probably the most accomplished shooter of any draft prospect, but he has displayed more skills. “You don’t find a lot of those guys,” Hornacek said. “It’s going to be fun to watch him grow in his career over the next 10, 15 years. You don’t want to put pressure on him, but I think he’s going to be one of those great players that you can run things through as time goes on. Andre Drummond is averaging 17 points per game this season. 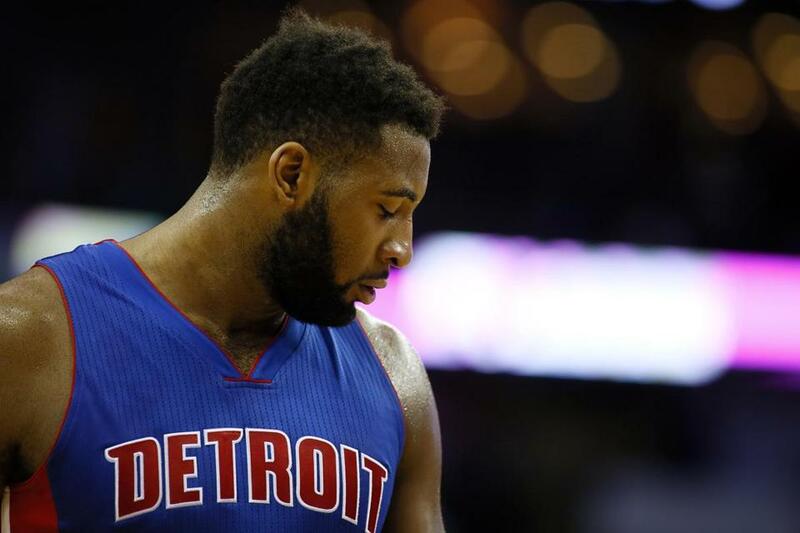 Andre Drummond is having an All-Star season for Detroit and is expected to be named an East reserve Thursday. His primary weakness, however, is free throw shooting, and he missed an NBA-record 23 attempts in the Pistons’ win over the Rockets last week. Detroit coach Stan Van Gundy, who has criticized the Hack-a-Drummond approach for slowing down the tempo and losing fan interest, was asked about Drummond’s free throw shooting, which is at 35.8 percent this season. 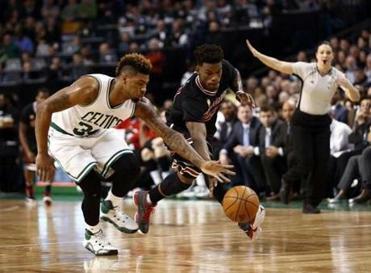 “In the gym, he’s made a lot of progress,” Van Gundy said. “You can see the work and practice sessions where he’s gotten a lot better. But in games, it’s actually gotten worse. Van Gundy said Drummond’s technique is improving. Drummond has been a franchise-saving player for the Pistons after being drafted ninth overall in 2012. He played 60 games as a rookie and has started every game since his second season. His emergence has been dramatic, but Van Gundy still sees bouts of inconsistency. “As still a young player, what Andre needs to develop more than anything is a real consistent approach to the game where he brings great energy and intensity every night,” Van Gundy said. “Because when he does that, he’s going to impact the game in a big way, no matter what else happens. “Just his energy, size and athleticism, that combination. He’s going to rebound, he’s going to get baskets rolling to the hoop, he’s going to run the floor; he can be great defensively. He’s gotten better. He’s making progress but he’s still up and down in terms of his intensity level. Drummond realizes he is just tapping his potential. He has yet to develop a dependable post game and has to improve his touch around the basket. “I have to play hard and work on my post game, continue to work on my free throws and just try to win games,” he said. Drummond was one of the 30 candidates to make the 12-man Rio Olympic team. He has flourished for USA Basketball and could give the club a legitimate, space-eating, rebounding center. Bradley contract boon or bargain? Avery Bradley has changed agents from Mitchell Butler of the Rival Sports Group to Rob Pelinka, who also represents Kobe Bryant. Butler was able to procure the oft-injured Bradley a four-year, $32 million contract extension last summer, considered an above-market deal. Now Bradley is apparently unhappy with his contract, especially after seeing players such as Milwaukee’s Khris Middleton (five years, $70 million), Utah’s Gordon Hayward (four years, $61 million), and Cleveland’s Tristan Thompson (five years, $82 million) cash in with lucrative extensions, making Bradley’s deal appear to be a bargain with the new television money increasing the salary cap this summer. After sitting out six games in an eight-game stretch, including a two-game suspension for throwing a towel in the face of coach Jeff Hornacek, Suns forward Markieff Morris had played five consecutive games before missing Thursday’s contest against the Spurs with a shoulder injury. The Suns are trying to showcase Morris, who has asked for a trade and has been disgruntled since the club traded his brother Marcus Morris to the Pistons. Morris does have trade value because he has a manageable contract for the next three seasons (a total of $24 million), but Morris has to prove he can be a productive player without his brother and also a positive locker room presence. Morris’s best season was 2014-15, when he averaged 15.3 points and 6.2 rebounds in 82 games. The Chinese Basketball Association has never been a league to emphasize defense, and the league’s leading scorer is little-known Jonathan Gibson, a former Celtics summer leaguer who is averaging 41 points per game for Qingdao. Gibson, a New Mexico State product, is shooting 46.8 percent from the field and 42.4 percent from the 3-point line. Several players from the league will be eligible to sign with NBA teams after its season ends in March. Among those former NBA players in China are ex-Celtic Jordan Crawford, former second overall pick Michael Beasley, former Celtic MarShon Brooks, ex-Cavalier A.J. Price, former Celtic and Clipper Lester Hudson, former Oklahoma standout Willie Warren, and former Heat sharpshooter Dorell Wright, who may be attractive to teams looking for a steady shooter. Also playing in the CBA are former first-rounder Ike Diogu, former Pistons guard Will Bynum, and former Detroit power forward Jason Maxiell . . . Potentially available in the coming weeks will be Clippers swingman Lance Stephenson, who is making $9 million this season but has a team option for $9.4 million next season. Stephenson has played in just 34 of the Clippers’ first 42 games and lost his role as a primary wing defender. Paul Pierce is now in the starting lineup. Chris Paul has established himself as one of history’s top point guards, but the 30-year-old hasn’t won a championship. The good news is not all of the greats win them early. A look at what age the 27 players ahead of him in Win Shares were when they won their first ring.